Someone put a new Chromecast for you under the tree, or maybe you just bought one for yourself to finally bring Netflix to your TV. You unpacked it, hooked it up, watched a show or two — and now you’re wondering: What else can this thing do? Guest mode can be easily turned on in the Chromecast app. Chromecast is a great device to use with friends: Open the YouTube app on multiple devices, have everyone add some videos to the queue, and you’ve got yourself a YouTube party. Have your relatives use Chromecast to show off their latest photos on a bigger screen, and your family get-together becomes a lot more fun. Or invite your HBO Go-using buddy over to watch the network’s latest shows on your TV, and you might just be ready to cut the cord. Guests can use your Chromecast without being on the same Wi-Fi network thanks to sounds played by your TV that only your phone can hear. Pretty cool! You don’t even need to hunt for that scrap piece of paper with your long and complicated Wi-Fi password to get guests started. Instead, just enable guest mode in the Chromecast app for Android. 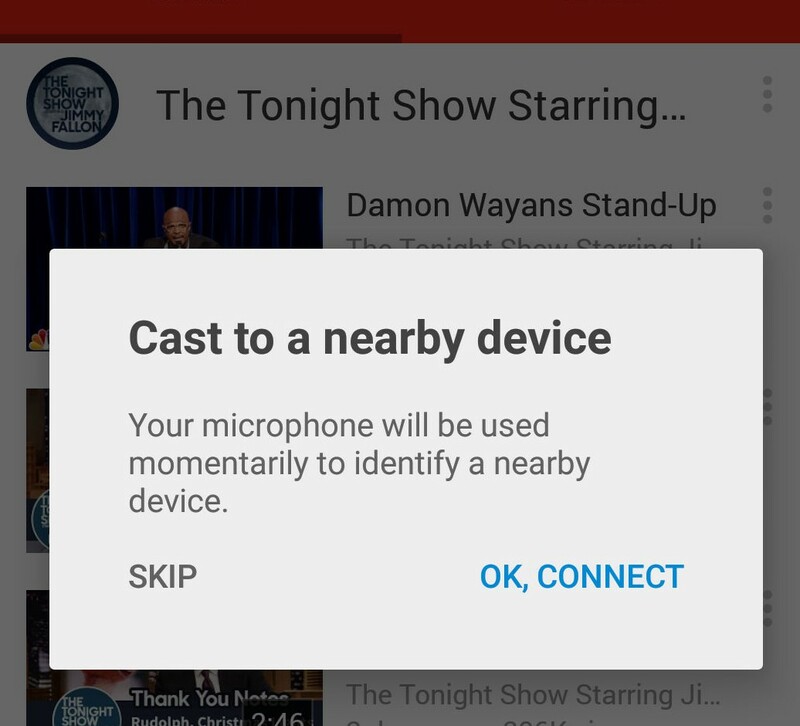 After that, any nearby Android device can cast to your Chromecast without being on the same network. Your friends’ devices should be able to discover and link up with your Chromecast automatically, thanks to cool ultrasonic tech, but there is also a PIN on the TV screen in case this fails. There are hundreds of Android, iOS and web apps for Chromecast (here’s a list of most of them), but occasionally you still find an app that just doesn’t support casting yet. That’s where screen mirroring comes in. 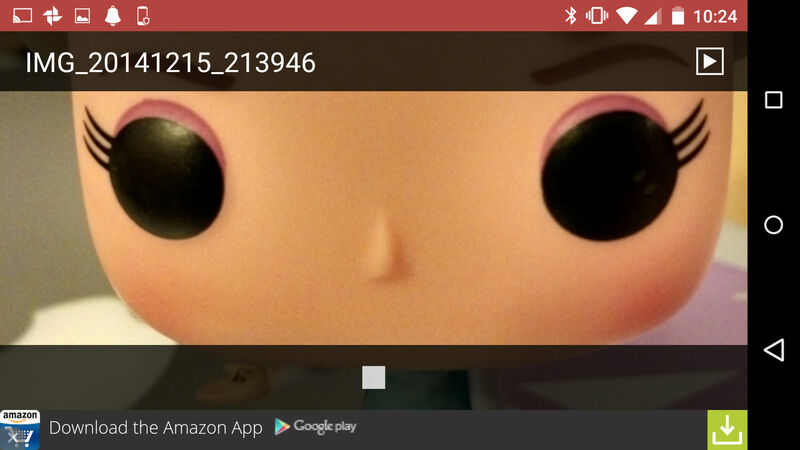 Any Android device running Android 4.4.2 or higher can mirror its screen to your Chromecast, meaning that your TV will show exactly what you are seeing on your phone screen. 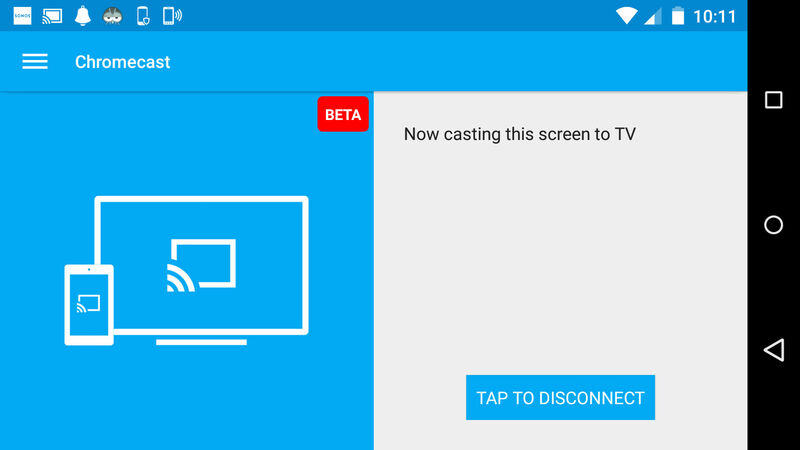 You can enable screen casting in the Chromecast app for Android. Don’t have an Android phone, or maybe you’re stuck with a handset with an older version of Android? Then you should install the Google Cast extension for Google’s Chrome browser on your PC or laptop, which lets you mirror any website to the TV screen. Just be aware that this kind of mirroring is still experimental, which means that video stream in particular with sometimes lag or stutter. But it’s a great way to quickly show something on the TV, whether it’s a presentation or a funny photo you found on Facebook. One of the coolest things about Chromecast is that it can turn on your TV, and even change to the right HDMI input, when you start casting music or videos from your mobile device — no TV remote required. That’s because Chromecast uses a little-known technology called HDMI-CEC that is supported by most modern TVs. Some TVs require you to change some settings before Chromecast can make the remote control obsolete. However, some TVs don’t have CEC enabled by default, so you might have to dive into the settings and look for CEC options to turn on. Unfortunately, not every TV maker calls it by that name, so you may have to scour for Anynet+ (Samsung), Bravia Link or Bravia Sync (Sony), Simplink (LG), Viera Link (Panasonic), Regza Link (Toshiba) or similar terms and then try to enable options to power the TV and switch input (as seen in the photo above). And if that still doesn’t do the trick, double-check that you are using the power adapter that came with the Chromecast as opposed to your TV’s USB port to make sure it gets power even when the TV is turned off. There are now tons of apps to play your own photos, videos or media stored on your PC with Chromecast. Here are some of the best: AllCast handles videos, photos and audio files and can also beam media to a bunch of other devices in your house, including Sonos speakers and Apple TVs, but the app nags you with an annoying watermark to buy the premium version for $4.99?. Localcast looks a bit more complicated upon launching it for the first time, but the app is pretty powerful; it can load media from a range of devices, including NAS drives on your local network, and automatically compiles a media library from select sources. Plus, the free version can be used without any further restrictions. Casting a photo with Allcast. Plex is a feature-rich personal media management solution that involves running some server software on your computer, but it can’t be beat if you have large libraries of content. And Dayframe can not only be used to compile slideshows from your personal media, but also cast photos from Facebook, Google+ and other sources, as well as curated slideshows that make your Chromecast look even better. It’s a petty powerful app with a bit of a learning curve, but the results do look pretty great. Dayframe not only casts slideshows of personal media, but also featured photo streams that make your Chromecast look pretty. 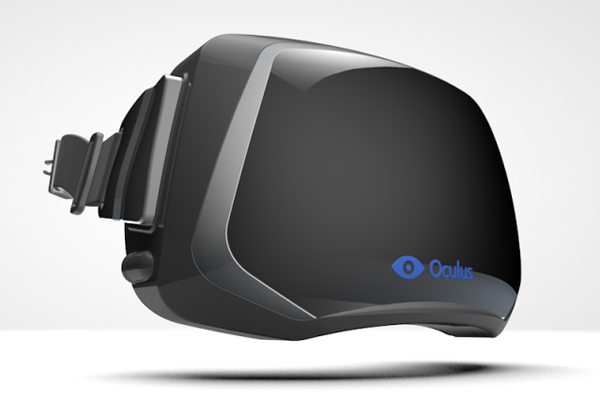 Want to experience virtual reality without shelling out money for a headset? You can, thanks to Chromecast — sort of, anyway, and provided that you not only have Google’s cardboard app installed on your Android phone, but also a 3D TV in your living room. I don’t, which is why this is the only tip on this list that I haven’t personally tried. But if you do, you can set it to SBS mode in the TV’s 3D settings. Then mirror the screen of the cardboard app to your TV, put on the 3D glasses that came with your TV, and voila: you’ve got yourself a VR experience without a VR headset (hat tip to Ryan Martin). Isn’t it nice that Chromecast shows you beautiful nature photos when you are not actively watching any videos? And wouldn’t it be even nicer if you could add your own photos to this slideshow? Actually, you can: The Chromecast Android and iOS apps offer a feature dubbed “Backdrop” that allows you to customize your home screen. 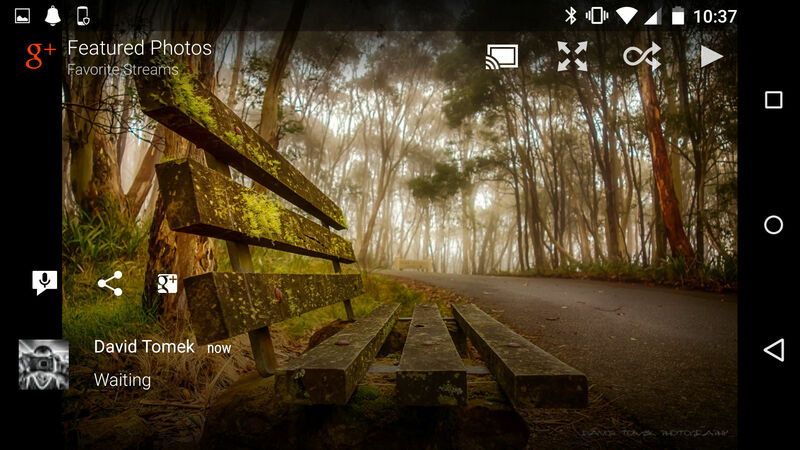 The Chromecast app lets you select tyour own Google+ albums to display on your Chromecast home screen. 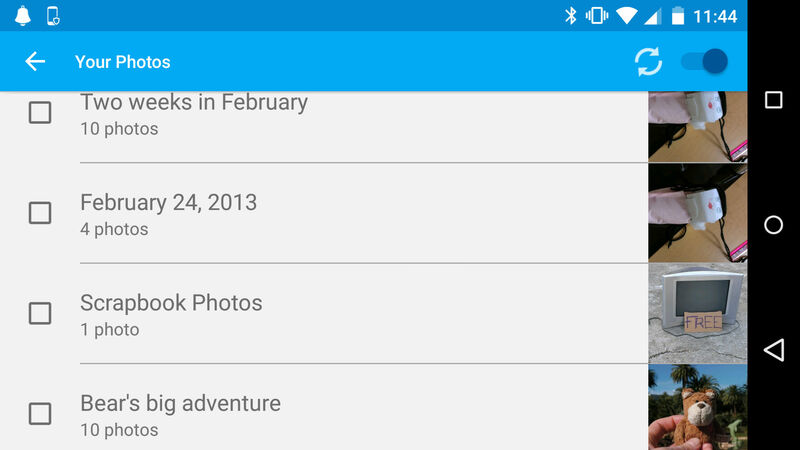 Not only can you add galleries of photos you uploaded to Google+ (which don’t have to be shared with anyone else), but you can also decide which other sources Google should use and add artworks, news photography, satellite images and even a small weather report widget to your Chromecast’s home screen. Looking for an alternative to expensive in-room entertainment options during your next hotel stay? Chromecast could come to the rescue — if you are willing to experiment, that is. Getting Chromecast to work in hotels isn’t actually that easy. Most hotels have landing pages for their Wifi, forcing you to acknowledge the terms of service or even enter your room number, before you can start surfing. That doesn’t work with a Chromecast, simply because it doesn’t have a web browser. Guess what: Your Chromecast can save you some real money. For example, Google started to give away $20 of Google Play credit for every Chromecast bought after December 7. 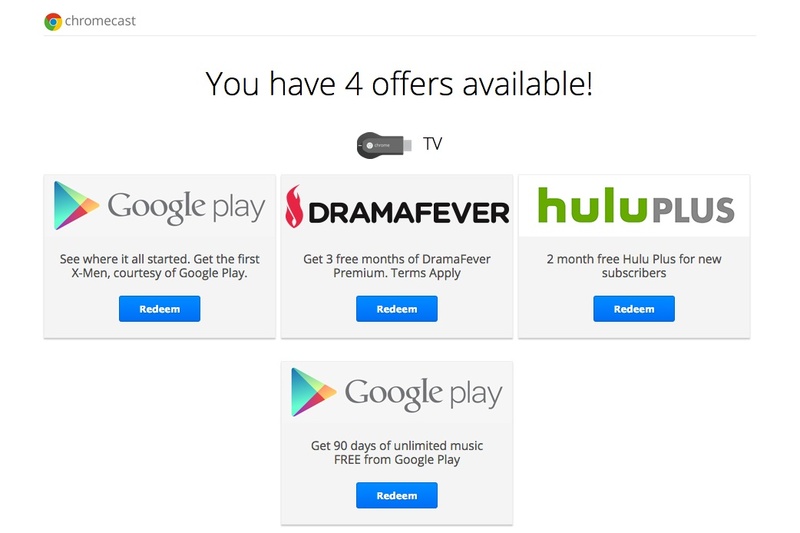 Google is also currently giving away a free digital copy of the first X-Men movie and services like Hulu Plus, DramaFever, Sesame Street Go and Epix are all running free promotions. Simply connect to your Chromecast in the Android or iOS app and then access offers through the options menu, or visit Chromecast.com/offers with your computer (Chrome browser and Google cast extension required) while on your home Wifi network. Google will then search for the device ID and let you know for which offers you qualify. And the best thing: Some of these perks are even available to people who have owned their Chromecast for some time, so it makes sense to frequently check for new offers. Want to watch a movie on the TV, but not wake up your significant other who fell asleep on the couch? Then just pipe the audio track through your phone and listen to it with earbuds. Chromecast doesn’t offer this kind of headphone listening out of the box, but there is a way to nonetheless make it happen: Local media casting app Localcast can route the audio signal to your phone while playing a video on your TV. Audio and video feed have to be manually synchronized, but after a little bit of trial-and-error, it actually works very well. However, Localcast only plays media saved on your phone, a NAS drive Google Drive — so you won’t be able to use this with Netflix. Please note: I’ve gotten a few emails from readers who have said that these kinds of adapters haven’t worked for them, but I’ve had no problem with it, so it may depend on the exact model you order, and your mileage may vary. This post was updated on 12/27 to clarify that mirroring is enabled for any device supporting Android version 4.4.2 or higher, not 4.2.2, as stated by a previous version of this article. Can I watch Netflix / now TV using my iphone as my internet provider? Installed Localcast. Was able to play my mp3’s from a shared smb drive but couldn’t get any avi. or .mp4 files to play. PLUS there were TONS of large annoying ads that made me want to throw the phone away. Obviously, I deinstalled Localcast instead. I just bought the Chromecast and was planning on buying another for another TV. Does anyone know if I can sync a second chromecast to the same ipad? One of the best apps for 2015 is RockIt Karaoke, it allows me to stream karaoke songs on my tv with chromecast and apple tv, The song catalog is one of the most largest I’ve ever seen and its very well organized by artists or music genres, another big advantage is that it doesn’t require any subscription. Can anyone explain why you would want/need to use an app like AllCast or LocalCast to cast a movie stored locally on your Android device, instead of just mirroring the screen to your television? You can turn your local device screen off, or use it for other things. Mirroring will require you to leave the device screen on. If you ,irror the screen you are not able to use your phone wile the movie is casting. Also if someone calls or texts it will interupt the movie. If you use an app to cast the movie then you can still use all the functions of your phone without interrupting the movie, Also, casting the movie through an app does not drain your battery. 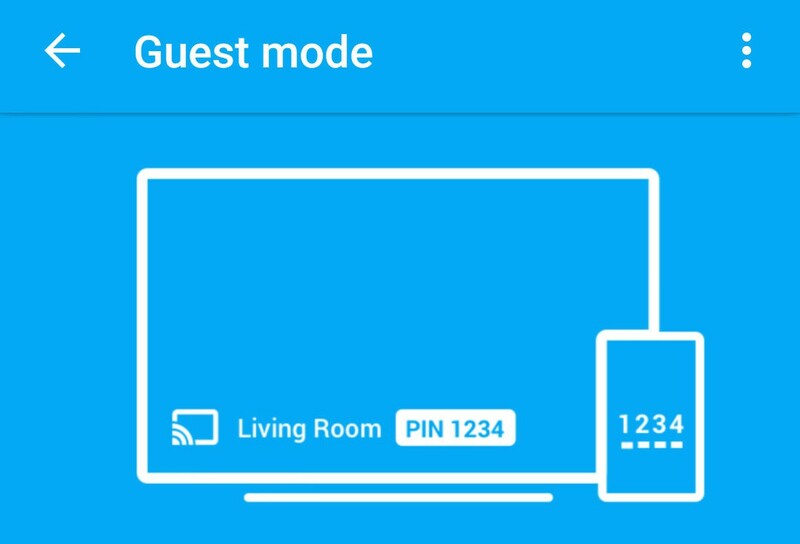 Has anyone tried turning on “guest mode” at home and then taking the Chromecast device to a hotel and accessing it directly? Videostream app for Chrome works for local media and it’s FREE! I got one for Christmas and so far I can’t tell any difference between using it and the Wii. I think if your not careful, using the phone it uses a lot of data. I found a movie using the phone, then couldn’t get it off the phone, movie was on phone and TV. Paper work all is lost so im not sure what to do. It shouldn’t use data if you’re connected to the wifi network in your house. wow, all 10 of these are worthless. Cast your screen from “Any Android device running Android 4.4.2 or higher” is not correct. That might apply to Miracast-enabled monitors/TVs, but not with Chromecast. Some phones can do it, but mainly Nexus models and rooted phones. This was enabled in a recent update. You need the most recent Chromecast app as well as the latest version of Google Play Services. Could I use this, say in an RV, when I don’t have internet service, but do have a local wi-fi network within the camper to stream from my laptop, phone or tablet? For that matter, will it stream from the phone (using phone data plan) to the Chromecast without the Chromecast having actual internet access? You need at least basic internet connectivity for the Chromecast to work. How is this devise different than a smart TV? Do I need both? It provides capabilities similar to a smart TV, however I’d assume you will find many more apps that work with a Chromecast than a smart TV. Minus the $20 Google play credit it’s only $10, very little downside if you don’t like it. I have just set up a pc with ethernet connected to virginmedia hub by activating dongle with phone first … using windows 7 downstairs…and a dongle on laptop on wifi upstairs…2 android phones 2 android pads and all going well…best tip I can offer is reboot and see if internet protection pops up for permissions or switch of protection, run casting then switch protection on so its reconized..
I’ve had success casting the screen but videos stutter a little, not sure why you were unsuccessful. Please let us know a cheaper alternative to throw content from your mobile device to a non internet capable TV. Including the freebies, play store credit, it costs more like Â£10. Bizarre since I watch movies in HD quality via stream with no problem. Open up chrome, go to Solarmovie.so (or shoebox app), click on movie, choose vodlocker, play movie but open with local cast, connect to Chromecast. Ta da. Free movies and shows. Now I use a nexus 7 and find the tablet easier, however it does work through laptop. Mirroring will be nice! Unfortunately the linked article says Android 4.4.2, not Android 4.2.2, is needed for screen mirroring. can you setup 2 chromecast on the same network? In hotels you need a router that supports WISP mode (wireless ISP). Wisp mode connects onto the hotel wireless but provides you your own wireless network. Then you just place your devices (phone, tablet, PC, chromecast) on your wireless network. Edimax make a small travel one. I was definitely thinking about using this in hotels when I’m on travel so I’m not stuck watching CNBC by default.